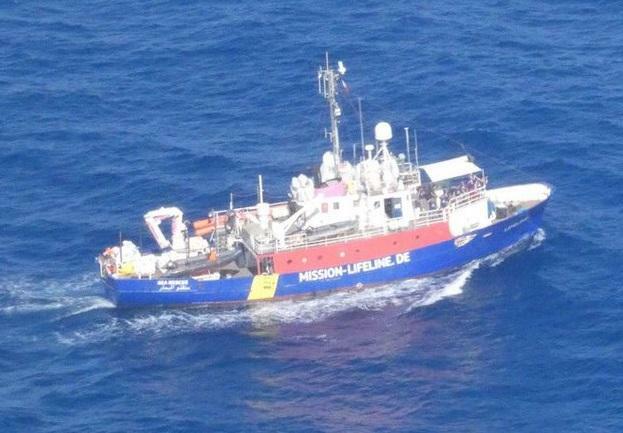 Italy demanded on Saturday that the Netherlands recall two NGO-operated migrant transport ships flying the Dutch flag, after Italian Interior Minister Matteo Salvini warned that they would not be allowed to dock in Italian ports. 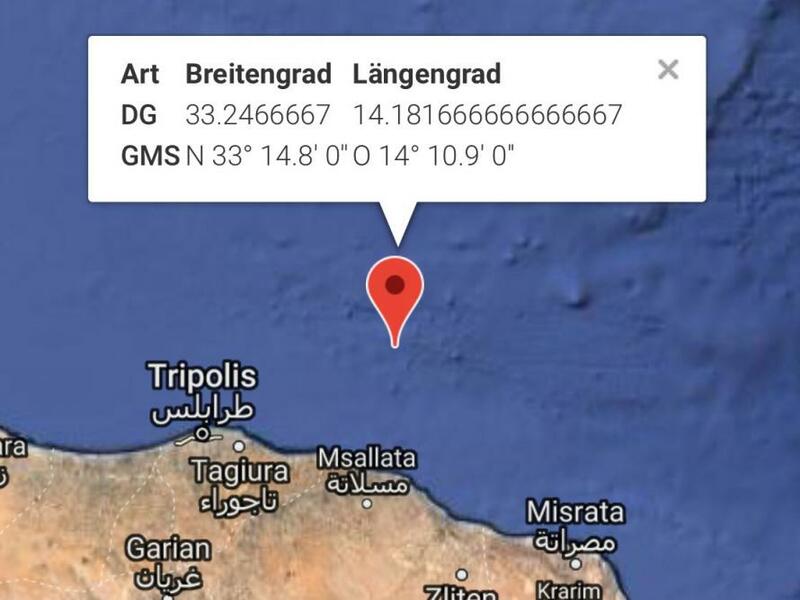 The ships are currently sitting off the coast of Libya. “They should know that Italy no longer wants to be an accomplice in the business of illegal immigration and therefore they will have to aim for other, non-Italian, ports,” Salvini said in a Friday post on Facebook. 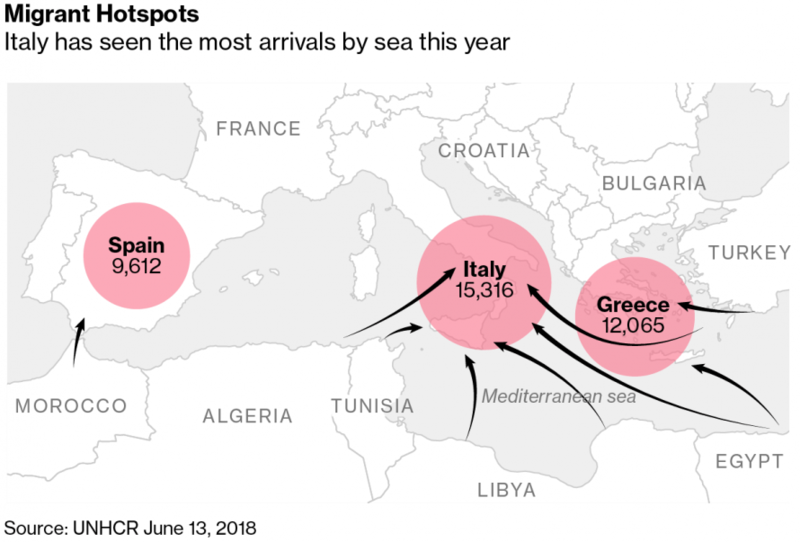 The blocked NGO ships come on the heels of Italy's refusal to take in a boat full of 629 shipwrecked migrants picked up off the coast of Libya - a move ushered in by the Italian government's new populist coalition headed by Salvini. "We are finished being doormats," tweeted Salvini on Sunday. After Salvini's comments, one of the Dutch-flagged NGOs, Mission Lifeline, tweeted in German "When fascists promote us..." to which Salvini fired back over Twitter "insults and threats will not stop us." La nave Ong Lifeline commenta: “Quando i fascisti ci fanno pubblicità...”. A casa nostra comandiamo noi, la pacchia è STRA-FINITA, chiaro? Insulti e minacce non ci fermano. “The issue of migrants is epic and Europe has remained detached for years about it, having inappropriate procedures in place before this issue became so severe,” Italy Foreign Affairs Minister Enzo Moavero Milanesi said, according to interview in Corriere della Sera. 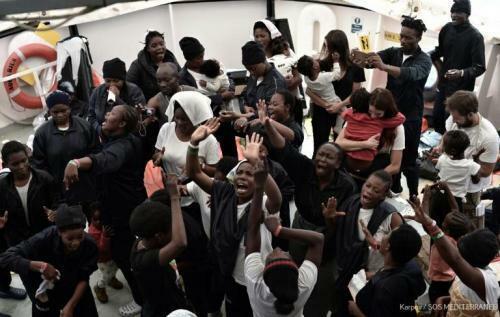 On Saturday, France agreed to accept some of the 629 migrants from 26 countries rescued by the MV Aquarius following an international spat between French President Emmanuel Macron and Italian authorities which led to Spain agreeing to take them in. After Italian Interior Minister Matteo Salvini refused to accept the NGO vessel packed with shipwrecked immigrants, Macron said that Italy was "playing politics" with the migrants, and that the Italian government had displayed "cynicism and irresponsibility." Mr Macron's spokesman Benjamin Griveaux said the French president recalled that "in cases of distress, those with the nearest coastline have a responsibility to respond". Rome wasn't having any of Macron's rhetoric - as Italian Prime Minister Guiseppe Conte shot back - accusing Macron of being hypocritical, cynical and rigid. "The statements around the Aquarius affair that come from France are surprising and show a serious lack of knowledge about what is really happening. Italy can not accept hypocritical lessons from countries that have always preferred to turn their backs when it comes to immigration," Conte's office said. And after several days of discussions, Madrid announced on Saturday that it had accepted France's offer to take in some of the 630 shipwrecked migrants. With a populist wave sweeping Europe and several European nations such as Austria preparing for strict and aggressive measures against unchecked migration, German Chancellor Angela Merkel finds herself hanging by a thread after a lawmaker from her own party said she could be out by the end of next week during an appearance on BBC World at One (via Express). The Chancellor is at odds with her conservative Bavarian allies - the Christian Social Union (CSU), who share power with Merkel's Christian Democrats (CDU). 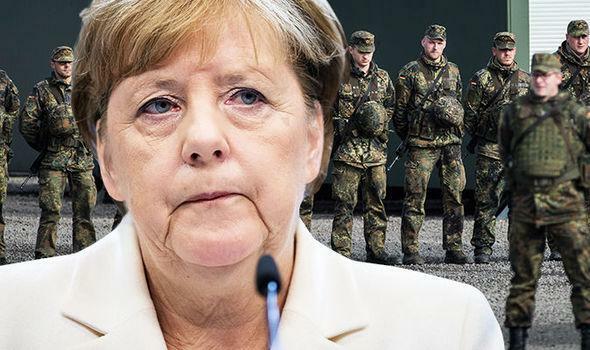 As Bloomberg reports, the executive of the Bavarian party - an ally in Merkel’s government - will pass a resolution Monday approving rebel Interior Minister Horst Seehofer’s plan to turn away more refugees at Germany’s borders, the Bild Zeitung reported, citing party aides. Merkel has been given a two-week deadline to gain the support of EU partners or Seehofer will execute the order unilaterally, according to Bild. The two-week ultimatum, if true, would mark an irreparable rift between the Chancellor and the party's Chairman Horst Seehofer, according to Social Democrat lawmaker Ingrid Arndt-Brauer. On Friday, the CSU, had announced the end of its alliance with Merkel's CDU - though that report was quickly denied. "No one in the CSU has an interest in bringing down the chancellor, to break up the CDU/CSU parliamentary alliance or to blow up the coalition," said Seehofer in a statement to newspaper Bild am Sonntag, adding "We want a solution for sending back refugees at our borders." While the German public's anger over Merkel's "open door" policy has been simmering for years, the instability within the ruling coalition - which features a decades-old political alliance between the CDU and CSU - intensified when Merkel decided over the weekend to veto a plan by Interior Minister Horst Seehofer aimed at controlling and reducing illegal migration. The minister’s refusal to back down has already shattered an uneasy truce between conservative backers and opponents of her liberal asylum policy. Merkel's troubles within Germany notwithstanding, Paris and Berlin appear to be close to an agreement on eurozone reform after months of infighting and division, according to French Finance Minister Bruno Le Maire. As Niall Ferguson notes in The Sunday Times, "On immigration, Italy’s populists are the future. Merkel is the past," and the migration issue will be looked at by future historians as a watershed moment in the destruction of the EU. Ferguson notes that the wave of populism sweeping Europe stands to spread like wildfire - having already established footholds within the governments of six EU member states: Austria, the Czech Republic, Greece, Hungary, Italy and Poland - while 11 populist parties have at least 20% popular support - "implying that the number of populist governments could roughly double." Never forget, Gaddafi wanted a scant €5bn/year to keep North African migrants out of Europe. Alas, Hillary Clinton and the French were hell bent on taking him out. "We came, we saw, he died" - and then Europe was destroyed by unchecked migration.